The University of Cape Town’s Drug Discovery and Development Centre (H3D) will be pivotal in a new international drug discovery programme aimed at financing not only the identification of new drug candidates to combat diseases such as malaria and tuberculosis, but also the development of African scientists. UCT will join the African Academy of Sciences (AAS), the Bill & Melinda Gates Foundation and the Medicines for Malaria Venture (MMV), all of whom have committed funding over the next two years. Successful projects, which must focus on potential new drugs for malaria, TB and other neglected tropical diseases, will be allotted up to $100 000 (about R1.3 million) each. The project also aims to create a network of drug discovery and development scientists in Africa, and across the globe. 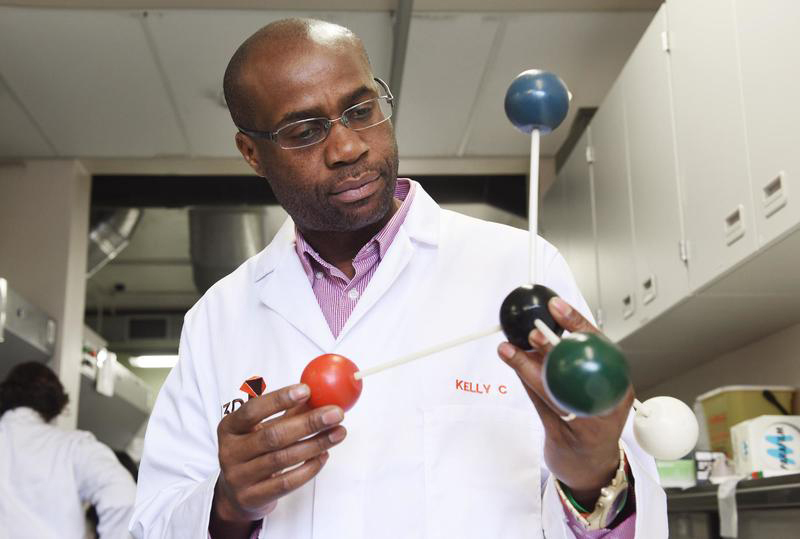 Professor Kelly Chibale, founder and head of H3D, Africa’s first integrated drug discovery and development centre, said their role would include promoting excellence in the programme. The centre will also offer its experience in conducting drug discovery projects on the African continent. H3D, which is recognised globally for its pivotal research in the fields of malaria and TB, will provide opportunities to African partners to get involved in its ongoing drug discovery projects in these fields. They will work from their home institutions. Chibale said that historically, several factors had hampered African-led innovation in drug discovery. Among these was the absence of a critical mass of appropriately skilled scientists, along with poor access to infrastructure to enable technology platforms and expertise. “There is a strong need to find sustainable solutions that build local capacity, while getting the job done,” he said, adding that the new programme will do exactly that. H3D will offer grant recipients the chance to use its infrastructure, technology platforms and expertise to fill the gaps in their own environments. In addition, successful applicants will be able to tap into H3D and the pharmaceutical industry’s scientist exchange programmes, boosting their existing skills. The AAS, a pan-African academy of all sciences and the home of Grand Challenges Africa (GC Africa), will provide scientific guidance and coordinate the programme. GC Africa programme manager Mose Alobo said this opportunity should help create a network of drug discovery and development scientists. “[This network] will initiate, develop, share, evaluate and disseminate best approaches and practices within the research community in Africa,” he added. GC Africa seeks to support bold innovations that address Africa’s specific health and development challenges. This is the third call for proposals administered by GC Africa, a scheme implemented through the AAS and the NEPAD Agency’s Alliance for Accelerating Excellence in Science in Africa (AESA). Prof Kelly Chibale says drug discovery for Africa, by African scientists, is essential to address the burden of disease. Photo Robyn Walker. AESA director of programmes Professor Tom Kariuki said the partnership would benefit Africa, which represents 17% of the world’s population while bearing a disproportionate 25% of the global disease burden. “[It will] develop capacity and augment efforts to discover and develop drugs for diseases that are prevalent on the continent, and that are otherwise being affected by a market bias that has seen drug discovery efforts on the continent hampered,” he said. Sub-Saharan Africa carries 90% of global malaria cases. For TB, 2.5 million sufferers in Africa in 2016 represented a quarter of new TB cases worldwide. The disease burden is being compounded by drug resistance, making the need to build capacity and step up drug discovery activities even more urgent. 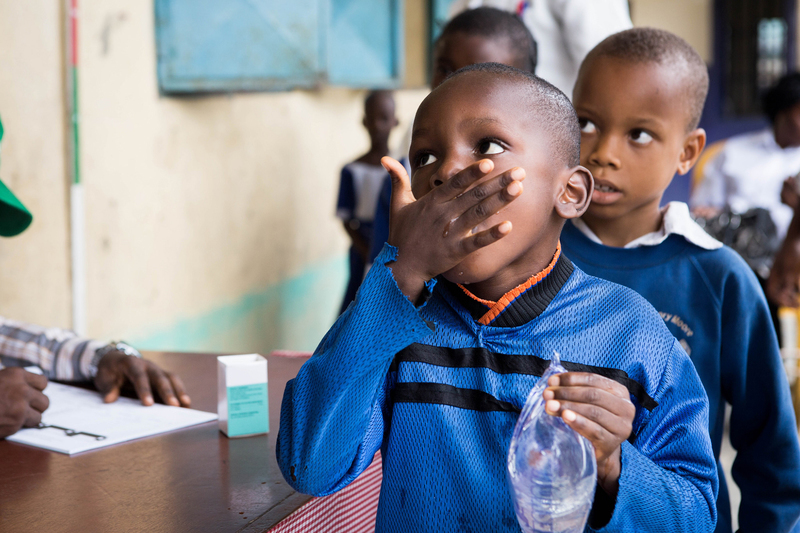 MMV’s chief scientific officer, Dr Timothy Wells, said the Medicines for Malaria Venture was proud to support the effort to identify new drugs for these diseases via the call for proposals. “At MMV, our focus is on bringing forward the next generation of medicines to help defeat malaria. Through these grants, together with our partners, we aim to support the next generation of African scientists to get involved in this endeavour, for malaria as well as other diseases,” he said. The new funding will be allocated to projects that identify new chemical entities with the potential for drug development. The diseases must have local relevance for Africa, and must expand the existing drug discovery research capacity of the institutions involved. Applicants will benefit from a network of drug discovery scientists in Africa and globally. This will link them to peers and mentors, and provide them with access to resources and technology. Chibale said the attraction of the programme was that it focused on highlighting and investing in people already on the continent. “The partners involved are proactively seeking to identify and fund talented African-based scientists to succeed, and not merely to survive. “This will result in an effective increase in the numbers of productive and contributing African drug discovery scientists, as well as an increase in the quality and impact of drug discovery science generated in Africa by Africans,” he said.